Vector Laboratories was a pioneer in the field of histological staining. We were the first company to commercialize a Biotin-Avidin (now also Streptavidin) System, a substantial improvement over earlier staining methods. Many biotin molecules can be coupled to a protein, which allows the biotinylated protein to bind more than one molecule of avidin or streptavidin. If biotinylation is performed under gentle conditions, the biological activity of the protein can be preserved. Both avidin and streptavidin bind biotin irreversibly, and both proteins have four biotin binding sites. 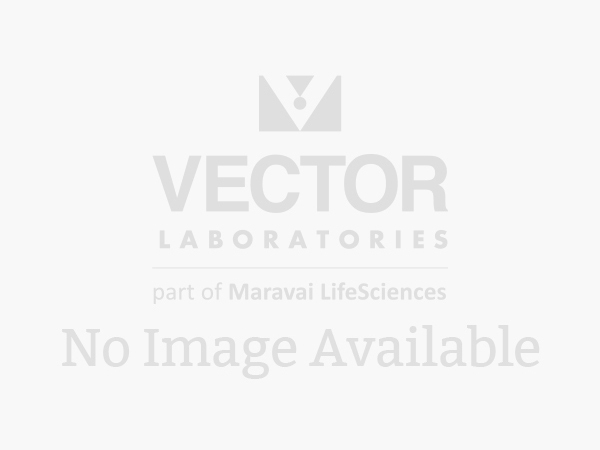 These properties make avidin and streptavidin reagents powerful tools in the detection and purification applications of biotinylated macromolecules. Use the Biotin-Avidin/Streptavidin System for the detection and localization of antigens, glycoconjugates, and nucleic acids in a range of research applications. Choose from among purified avidin and streptavidin proteins, anti-avidin and anti-streptavidin amplification antibodies, biotinylated reagents, and a range of avidin and streptavidin conjugates with different ligands, such as fluorophores and enzymes.